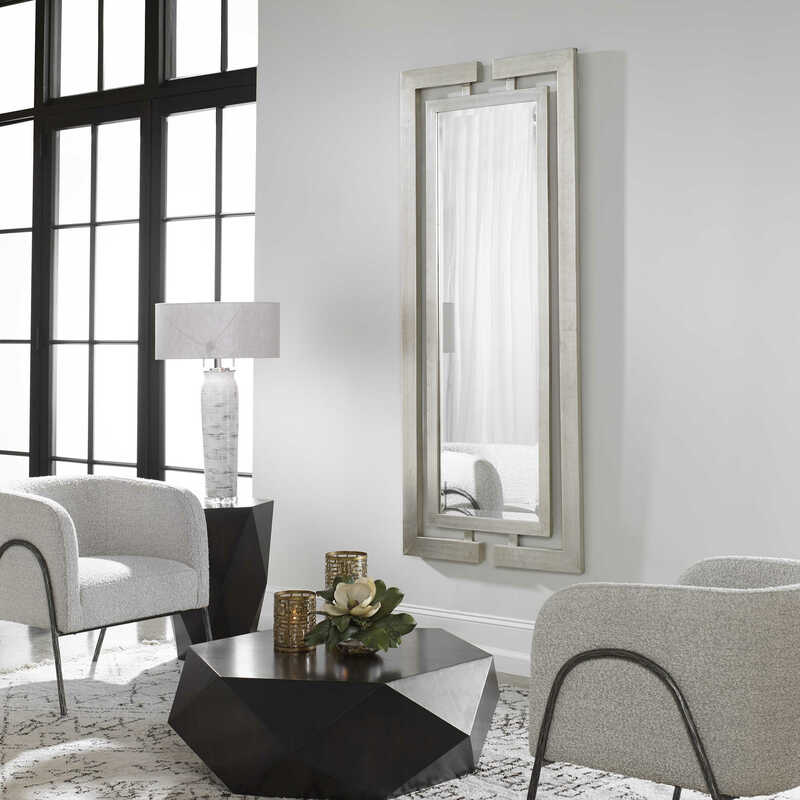 This stately mirror features dual wooden frames attached at the top and bottom with a scratched silver leaf finish. Frames have open detail for wall color to show through. Mirror has a generous 1 1/4" bevel. May be hung horizontal or vertical.